As an Orange County native, Big Bear holds a special place in our hearts because it is the closest place to actually experience snow! But did you know that Big Bear Lake is an awesome place for water sports during the summer time!? 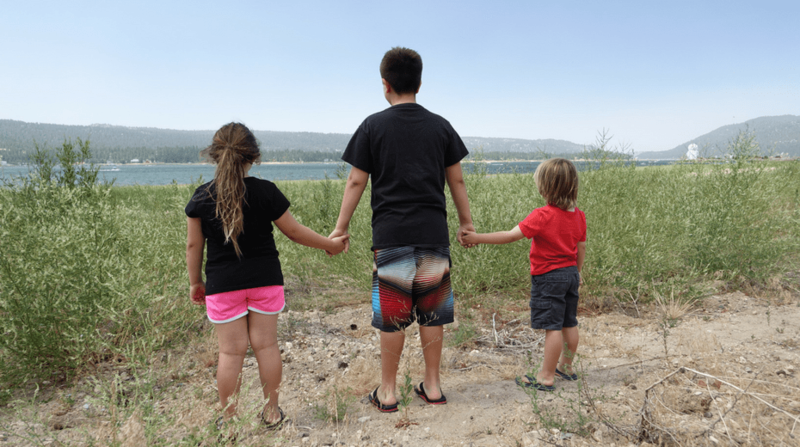 The lake warms up to a suitable degree, and one weekend we decided to rent a boat and explore Big Bear Lake with the kids – and also took a little dip in the fresh water.